Mr Jump is an arcade game developed by 1Button SARL which is, in essence, an endless runner for iOS. 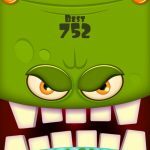 The goal of the game is for the titular character to jump his way through the ingenious and tricky levels. 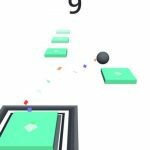 According to 1Button SARL, Mr Jump will seriously challenge your skills and reflexes, and keeping that in mind, this is one of those Flappy Bird-esque titles that offer little frills, but a very addictive gaming experience. 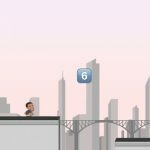 So let’s not waste any more of your time as we provide you some Mr Jump cheats, tips and tricks if you’re looking to beat your high score. It’s as simple as avoiding the obstacles, but you’ll need to make the right kind of jump. Hold the display for a short time if you want to make a short jump or jump down to a lower platform, and hold it for longer if you want to jump a longer distance or jump onto a higher platform. 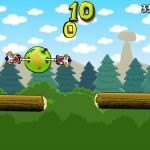 There are 12 stages in Mr Jump and each stage is scored with a maximum of 100 percent. So that means the highest score you can get is 1,200, and you shouldn’t be trying to boil the proverbial ocean by trying to beat those scores that are in the several thousands, or even in the millions – these are hacked scores and there is no way you can possibly beat them, ever! That is, of course, unless you hack the game, which we really wouldn’t recommend. This is a very simple cheat and one you can make use of if you want to start from scratch with your attempt count. Delete the game from your iPhone or iPad, reinstall it, and start anew. Still, the tip below will show you why this cheat isn’t much of a cheat after all. At the end of the day, however, the important thing in Mr Jump is to complete the levels. It isn’t important whether you do it in just a few tries, or if it takes you dozens of tries to clear a certain level in the game. provide a few distractions, and unfortunately, that includes advertisements. You can either turn off your Wi-Fi or cellular data, or switch your device to airplane mode, but for the sake of the developer, it would be a good idea if you played with ads on occasion. Sure, it will only cost you 99 cents, but skipping a level is not recommended. Why? Because there’s a good chance you wouldn’t be able to beat it if you weren’t able to beat the level you paid to skip.